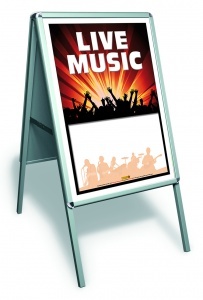 The Aluminium A-Frame is one of the leading pavement signs on the market. It is of a top quality at a great price. 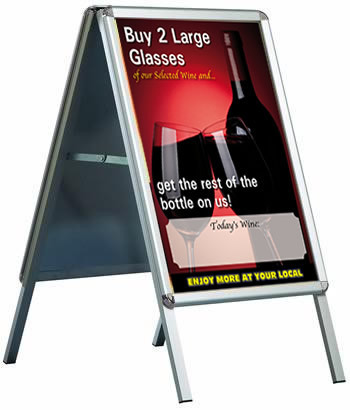 It features a tough aluminium frame and strong legs to make it an excellent choice for a pavement sign. It has anti-glare PVC covers to hold your posters in and is available in three different sizes. Note: The lightweight design of this item makes it more suitable for sheltered areas.